On day 1, start the early morning road trip from Delhi to Rishikesh. Afternoon arrival. Complete the check-in formalities and rest for a while. Rishikesh is a beautiful pristine town, famed as the ‘Yoga Capital of India’. The place is dotted with several temples and ashrams. The evening is scheduled for attending the very popular Ganga Aarti at Triveni Ghat. This truly is one of the best lifetime memories. Dinner and overnight stay the hotel. Breakfast is followed by check -out formalities at the hotel. Start driving towards Auli, one of the best ski resorts in the world. On the way, halt at Devprayag- the confluence of River Alaknanda and River Bhagirathi, and Rudraprayag- the meeting point of Rivers Alaknanda and Mandakini. Later, continue your journey. Evening arrival in Auli. Check-in at the hotel. Thereafter, enjoy a visit to the local market. 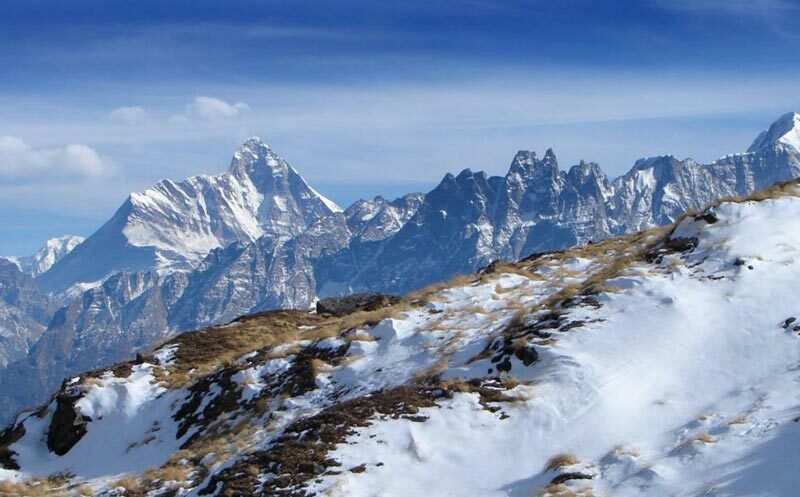 Auli is a beautiful hill station in Uttarakhand state Dinner and overnight stay the hotel. On the 3rd day, after breakfast, get all set for enjoying Skiing, one of the best winter sports in India. 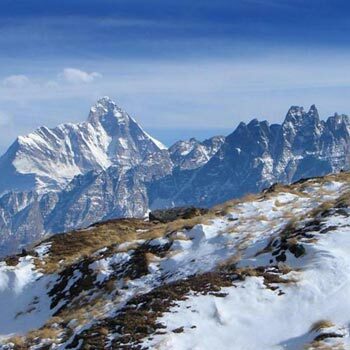 The Ski slopes of Himalayas are pretty challenging and offer breathtaking views of the mighty Himalayan peaks. These slopes are quite popular amid avid-skiers who come here from all around the world. However, if you are a beginner, there are experts to teach you. All the equipment is available on rent here. Overnight stay. Today, have an early morning check- out from the hotel. Start your return journey to Rishikesh. Evening arrival. Complete the check- in at the hotel. The day is at leisure. You can explore the place on your own. Overnight stay in Rishikesh. Post breakfast, get ready for sightseeing including the popular attractions of Rishkesh such as Ram Jhula, Laxman Jhula, Neelkanth Mahadev Mandir, Bharat Mandir, and Parmarth Niketan Ashram. Later, head towards Shivpuri to partake in adventure activities such as river rafting, bungee jumping and camping. The day is going to be a mix of stress-free sightseeing and thrilling activities. Stay overnight.